“I have been waiting for this moment for the past 5 years. My family and I have faced so many difficulties. Our determination and hard work has finally paid off”. These are the words of 30-year-old Mohamed Kadir. Mohamed fled his native country Ethiopia with his wife and 3 children in 2013, and settled in Hargeisa, Somaliland. In 2017, there were over one million internally displaced people in Ethiopia. In September of the same year, attempts to demarcate the Somali and Oromiya regions border resulted in widespread violence.Once in Hargeisa, life didn’t get any easier. Like many other refugees, Mohamed struggled to get a job and support his family. “I had no other choice but to take on odd jobs in order to meet my family’s basic needs. Job opportunities were very rare. I worked in construction and as a security guard. This enabled me to cover our rent and food expenses”. “At the time, I was attending legal counseling sessions provided by the Comprehensive Community-Based Rehabilitation in Somaliland at the Peaceful Coexistence Centre (PCC). It is then that I discovered that the PCC also provided accelerated learning programmes for refugees, returnees and the host community. I enrolled for English and computer classes”. According to the UNHCR and Organization for Economic Co-operation and Development (OECD) action plan to foster refugee employment, “Engaging with employees in the hiring of refugees Report’, language is one of the most critical host country specific skills that refugees need support to develop. The PCC is managed by Action Africa Help International’s (AAH-I) Somalia Country Programme with funding support from UNHCR. 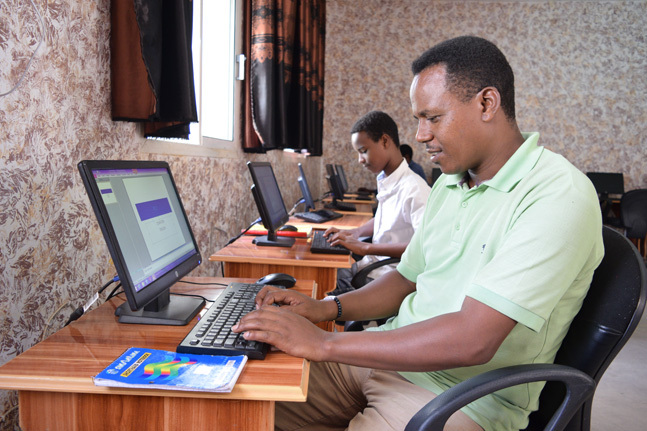 The Centre’s objective is to promote social cohesion among refugees, asylum seekers and the host community, by providing community leadership strengthening, and language, computer and vocational skills training. The PCC also offers academic support through allowing access to the Centre’s library resource materials. Mohamed graduated after successfully completing a 6-month intensive training. He and his family obtained resettlement to Sweden through support from UNHCR in June 2018. The PCC also provides early childhood education classes, which Mohamed’s children have benefited from. 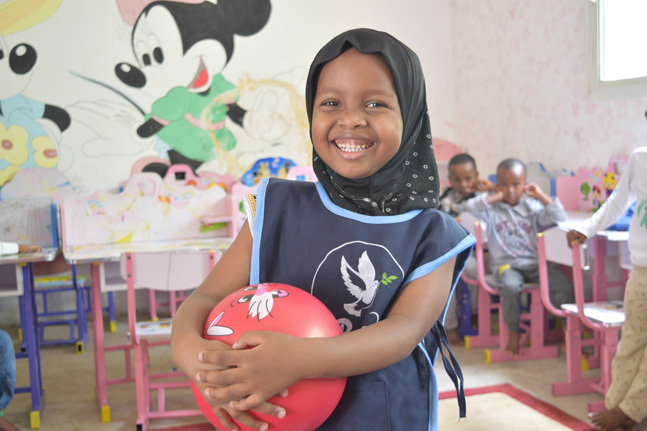 Mohamed’s daughter, Sifan, is five and wishes to become a medical doctor when she grows up. “I am very grateful for the services available at the PCC. I am now computer literate and I can better express myself in good English. The skills I acquired will definitely smoothen our integration into the Swedish society”. AAH-I was established in Puntland in 1997. Today, the programme is implementing projects targeting livelihood and self-reliance, quality education, integrated community rehabilitation, logistics and humanitarian relief and social cohesion.